Hi! 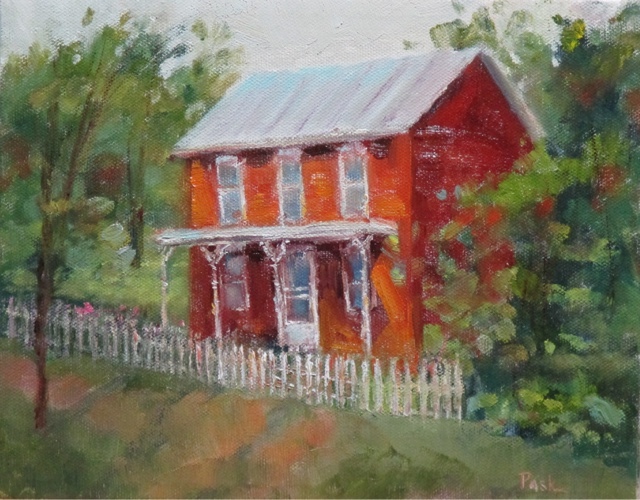 Recently we camped near Yellow Springs Ohio and I ran around town shooting photos of wonderful old houses. The picket fence drew me to this one. There was a sidewalk in front but I made the decision not to include it. This is water miscible oils on a 8" x 10" canvas. Doing pretty well with the new oils, still miss tipping my brush into solvent but I'm hanging in there. I've noticed they dry shinier than traditional oils. 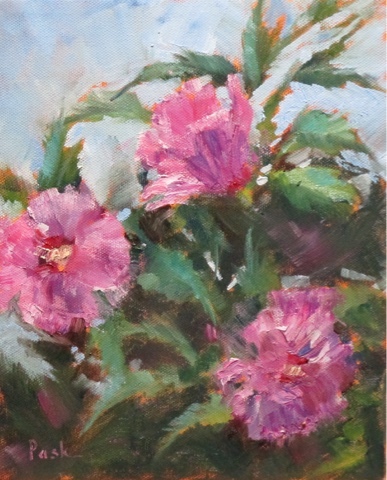 I painted this Saturday in Loveland Ohio with the Ohio Plein Air Society, I painted this painting of Rose of Sharon, I felt like doing flowers that day. This also is the water miscible oils and is a 8" x 10" as most of mine are. 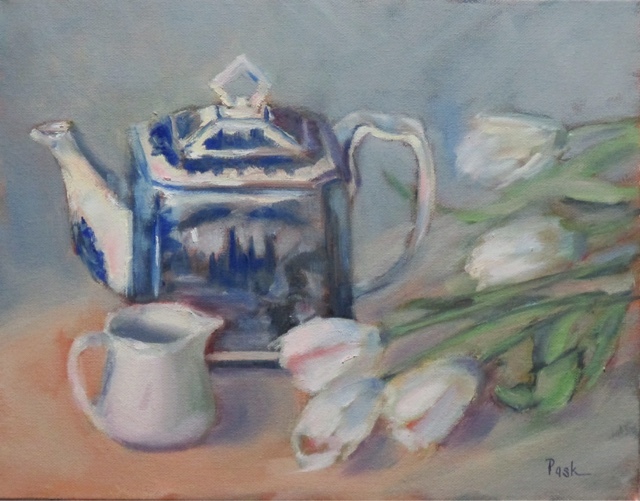 Hi Friends, painted this one not too long ago, it is oil on a 11" x 14" stretched canvas. I recently switched to Cobra water miscible oils. They are oils in every way but the linseed oil in them breaks down with water so they are soap and water clean up. I decided to try to paint healthier and make the switch. You need to stay out of the water if you use them, mixing them with water isn't a good idea as the water evaporates and they become sticky. They make linseed oil for them you can mix throughly into the paint to thin them. I plan to stay with them. I will keep you posted. 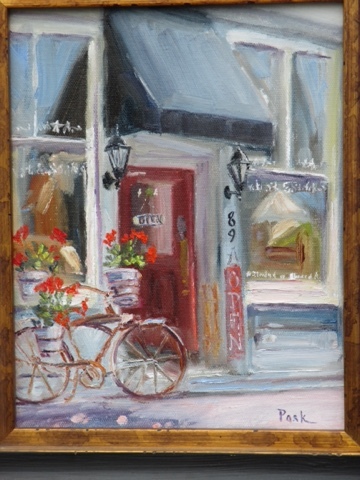 I donated a painting to the Mason Historical Society of their old fire truck Old Betsy. They auctioned it off at the ice cream social Tuesday night and all of the proceeds went to them, $660 , not bad. I am selling prints if you live in the area and you are interested let me know.